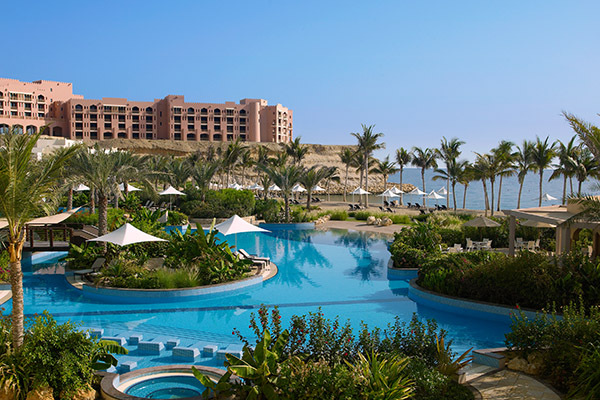 The conference and meeting facilities at Shangri-La Barr Al Jissah Resort and Spa feature audiovisual equipment and lighting support. 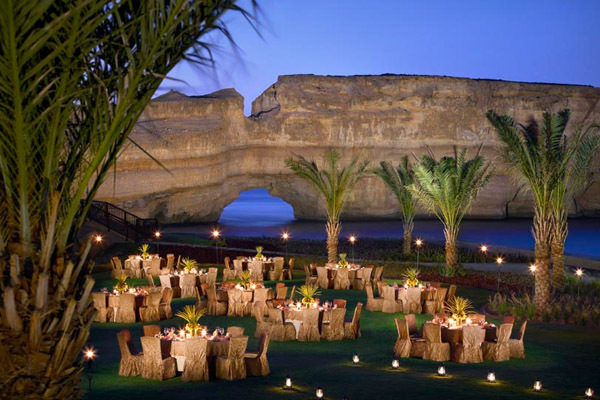 The pillar-less Barr Al Jissah Ballroom seats 700 guests banquet style. Including the pre-function area, this number increases 850 guests. There are also seven additional meeting rooms. 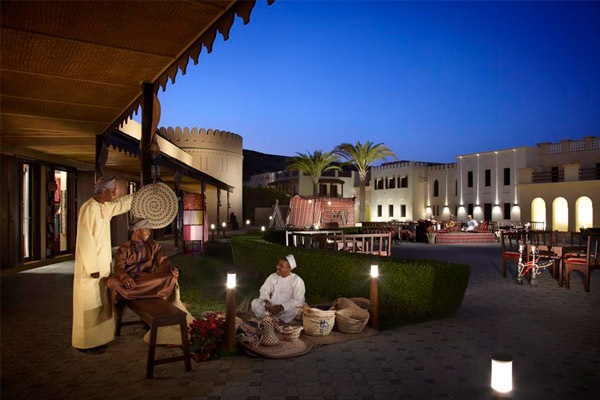 Al Tanoor serves the characteristic cuisines of the Arabian Gulf region in a traditional Omani atmosphere. The interior is designed with Arabian tents, pottery and vibrant colours which complement the enticing dishes prepared for you at the open cooking stations. 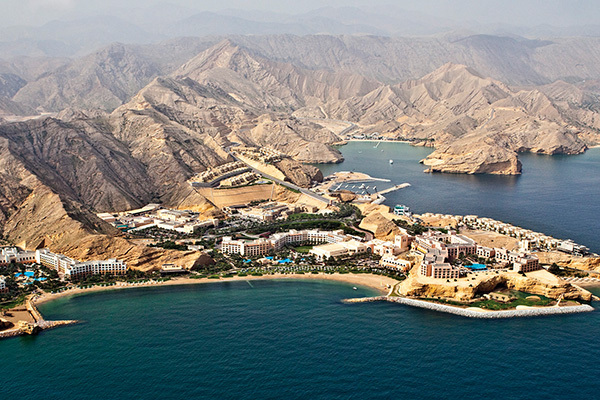 The splendid Sea of Oman forms the perfect backdrop to showcase the unique and distinct flavours of Omani cuisine. Capri Court offers a contemporary Italian experience through its innovative menu and stylish restaurant design. Enjoy its fashionable ambience indoors or relax in the outdoor seating area which looks directly out to resplendent beach and garden views. Samba showcases exotic, international cuisine with flavours of Asia, Latin America and the Mediterranean. Surf Café is a fashionably casual dining venue with its own Internet stations. Serving healthy salads and snacks as well as burgers and sandwiches, Surf Café is a great spot to stay connected while sampling light meals. Tapas & Sablah, a relaxing piazza in the heart of the resort, serves Mediterranean and Asian tapas as well as Middle Eastern mezze late into the night. The menu is complemented by a full beverage and shisha selection. With indoor and outdoor seating, Zafran Cafe is close to the middle of the shopping arcade and close to the children's facilities. Serving coffee, teas, pastries and light meal, it is perfect for leisure dining and catching up with family and friends. Guests can enjoy shisha at the courtyard. 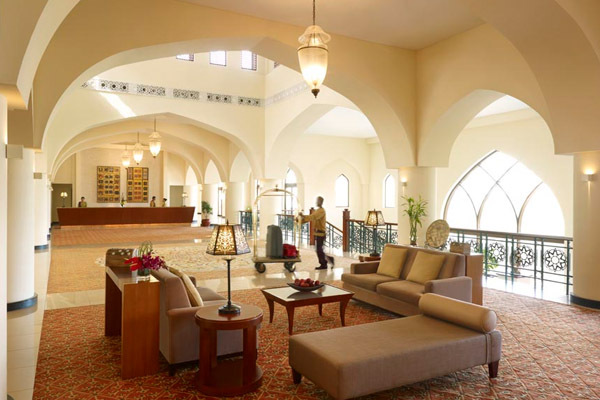 With panoramic pool, garden and sea views, Al Waha Lobby Lounge is an inviting spot with a wide selection of coffees, teas, cocktails and light snacks, as well as afternoon teas. A lively meeting place in the heart of the resort, the refined yet casual Al Bandar Lounge offers an exclusive selection of fine teas, cocktails and other tempting refreshments. 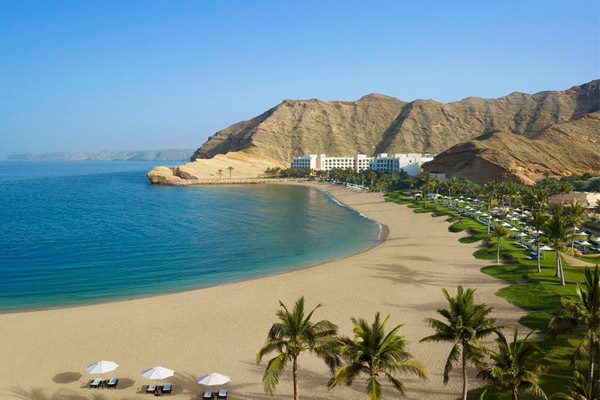 With a long terrace overlooking the Sea of Oman, Piano Lounge offers memorable views of the sea and the surrounding resort. Enjoy this perfect spot for pre-dinner drinks or late-evening cocktails and cognacs. Assira offers a wide selection of light and healthy salads, sandwiches and snacks, as well as refreshing cold beverages throughout the day. During the daily happy hour, from 6pm - 7pm, you can enjoy a 50% discount on selected beverages by the glass. Enjoy a pizza from the wood-fired oven at Circles. Also available are snacks, pasta dishes, health drinks and cocktails. A trendy bar located in the heart of the resort, The Long Bar offers a wide array of signature cocktails. The B.A.B. Lounge provides a relaxing environment for enjoying pre-dinner drinks, late-night cocktails, wine and Champagne, and offers a selection of canapés, sharing platters, seafood messah and light snacks.